Summary: Aite Group examined how much time commercial lenders devote to core responsibilities. We provide you with some of the results. Online gaming is a big business. 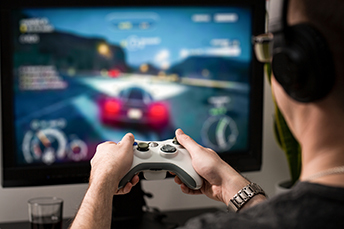 Look no further than a survey by the Game Developers Conference that found the top 5 platforms where game developers are currently working are: PC (60%), smartphones/tablets (36%), PS4/Pro (30%), Xbox One/X (26%) and Mac (20%). Game on. Of course, we don't know any community banks that play games when it comes to expanding their loan opportunities with businesses, no matter the lending platforms or approach. As some quick background, the Fed reports US banks extended $2.1T in loans to companies as of Feb 2018. Commercial lending remains an essential offering for community banks, so making the most of lenders' time is critical too. It may surprise you then that, according to an Aite Group report, many commercial lenders don't spend enough time on their core job responsibilities. In its study, Aite examined how much time workers in their primary roles within commercial lending (loan officers and underwriters) spend on their core job responsibilities. With this in mind, we thought we would provide some insight as to what community banks can do to make potential adjustments. Focus on core responsibilities more often. Lending officers should be largely focused on fielding loans, assessing credit risk, structuring and getting loans approved. Here, Aite found only 10% of commercial lenders surveyed, at institutions with $10B or less, were handling these core responsibilities 71-100% of the time. The rest of the lenders were only able to focus on these responsibilities less than 70% of the time. Ask, simplify and automate. To free up more time, evaluate the activities that are taking up the time. Mentoring and training junior lenders can free them up to take on more responsibility faster. Also look at whether you can automate the way you calculate financial ratios and streamline how you gather data on existing and potential borrowers. Any and all manual activities are costly for banks, so every so often take a hard look and see what you can simplify, automate or even eliminate entirely. Review current technology. According to the report, automated commercial loan origination is not always an antidote to the problem of diversion of lenders to noncore activities. Only 18% of these surveyed lenders are using automated systems that improve productivity. It is not only important to have an automated system, but you may need to review and reassess how best to leverage that system to increase efficiencies and allow your lenders to spend more time on core duties. Match budget to your goals. The survey further reports that nearly 50% of all community bank lenders surveyed don't know if the budget is going up or down for automating loan origination. Almost 40% expect an increase in this area between 10-20%, while 55% expect to have a stellar or good enough loan origination system. Make sure that your budget is in line with your goals, to ensure that your lenders' time is optimized. Lending is no game for community bankers so automating things, freeing up human capital and focusing on the customer at all times are worth the extra effort. In 2017, the average borrower saw their home equity increase by $16,300 according to CoreLogic. In all, US homeowners gained $1T from increased home values, as home equity surged 13.3% in Q1 2018 YoY. A Deloitte survey finds 63% of C-suite executives predict their boards will want more detail on the effectiveness of their cybersecurity programs, but only 17% have high confidence in their cyber program. Meanwhile, 57% expect more regulatory oversight. By 2030, there will be 35 retired Americans for every 100 working age. That will rise to 42 vs. 100 by 2060, according to Census Bureau projections. A Cost of Cybercrime Study by Accenture PLC finds a 23% increase in the cost of cybersecurity, while the number of successful breaches per company each year rose by 27% (from an average of 102 to 130). S&P Global Market Intelligence research finds financial Institutions chosen by bank app users the most often were: JP Morgan (15%); BofA (13%); Wells Fargo (11%); PNC (3%); US Bank (2%); USAA (2%); Capital One (2%); TD Bank (2%); BB&T (2%) and Navy Federal Credit Union (2%).